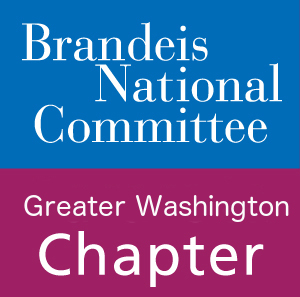 A new season for the Greater Washington Chapter of the Brandeis National Committee for 2018-2019 is ready to begin. Our Executive Board has begun mapping out a great year. The Committee Chairs are in the process of meeting and planning exciting new programs. The dedication and enthusiasm of our entire membership serves as our motivators. Our Study Guide Co-Vice Presidents and their Committee have put together an exciting selection of activities. We are confident that the vast variety of Study Guide Events will allow you many opportunities to be educated, inspired, creative, and to just have fun. Our fundraising will support Brandeis University in a one year campaign MAGNIFY THE MIND. The money we raise will be for a two-photon microscope to enable researchers to observe brain activity in real time. This will allow our scientists to make new discoveries toward the treatment of brain disorders. We begin our year with a New Member Coffee on August 23rd. In October, we have our annual Book & Author Luncheon, followed by our General Membership meeting in November with a special treat, lunch is prepared by the board. In January, we Train our Brains (aka Game Day). Lunch and Learn is in March as well as another General Membership Meeting. Special Events take place throughout the year with exciting programs. Our year comes to a close with the Spring Installation Luncheon in May. Our Board meetings are the first Wednesday of the month at Temple Beth Ami and all are welcome to attend. On the second Wednesday of the month we have Let’s Do Lunch. Ladies Night Out which is every other month on Sunday Evening is another avenue to meet and socialize with Chapter members. We hope to see you, our valued members, at as many functions as possible. If you are interested in joining, please contact our Membership VPs, Lorraine Rose and Bobbye Hertzbach.